China's Hisense is showing a 55" flat OLED TV prototype at CES 2014. Apparently the staff at Hisense's booth made it clear that this is just a prototype and the company has no plans to release it as a product any time soon. Interestingly, this is not the first OLED TV Hisense unveiled. Back in 2011 they showed a 15" OLED TV prototype, with plans to launch it later that year (which never happened though). The 15" OLED was provided by LG Display. 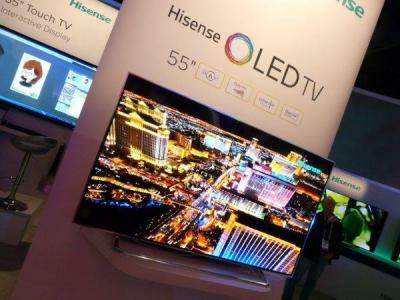 Hisense to launch an OLED TV?